Private hosting solutions ensure your data is safe and secure…ask us how. Ask us about our security assessments and training… learn more. Providing hassle-free solutions for Financial Services for almost 5 decades… learn more. 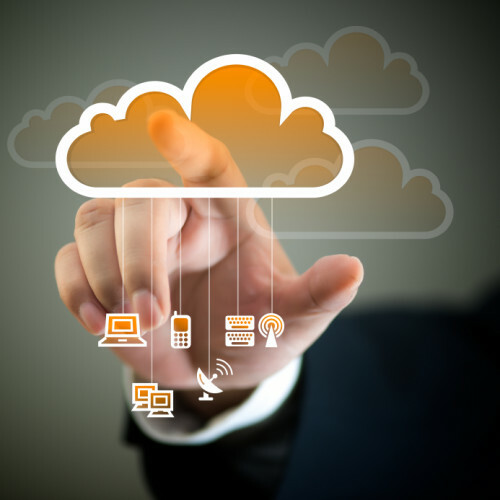 IT Network Solutions and Services with a human touch…learn more. 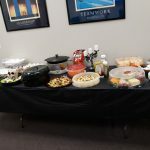 Lasco donated to the 2019 Marquette Graduation all night party that’s being held at the Superior Dome. 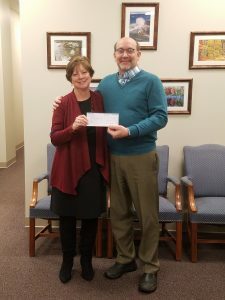 Here is Robert Baer, the President of Lasco, presenting a check to Errica Ingram, a member of the board. We all wore flannel today to support the Career Technical Education Committee’s efforts. CTE is a starting point for students to consider their career paths and to help students make good career decisions while in high school. Their magazine is being distributed today in the Mining Journal. 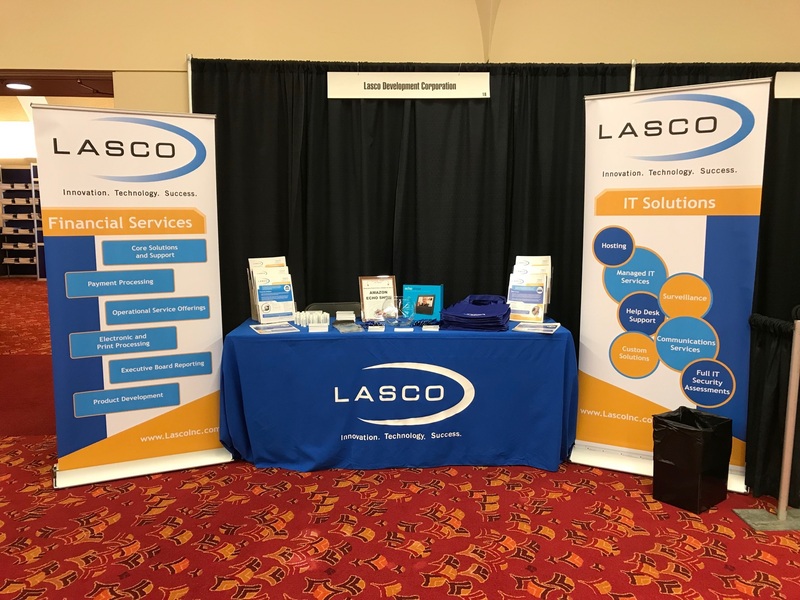 Robert Baer (President of Lasco) and Melissa Murphy (Senior VP of Risk and Finance) are manning our booth at the 2019 Wisconsin Bankers Association Conference. 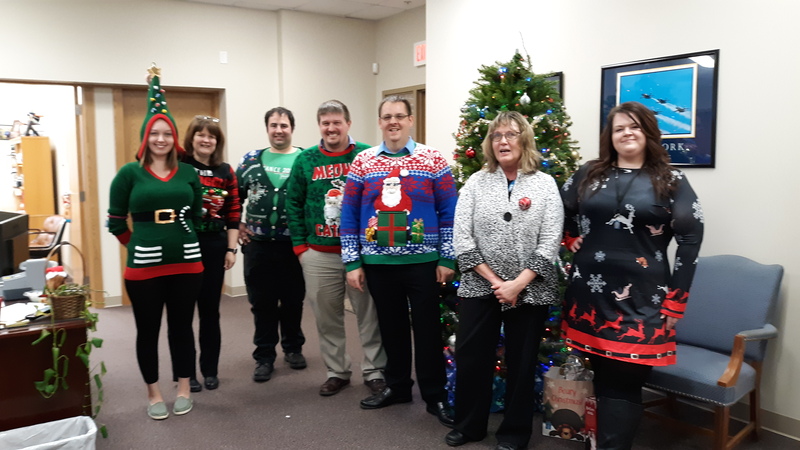 The Lasco team had some fun during the holidays! 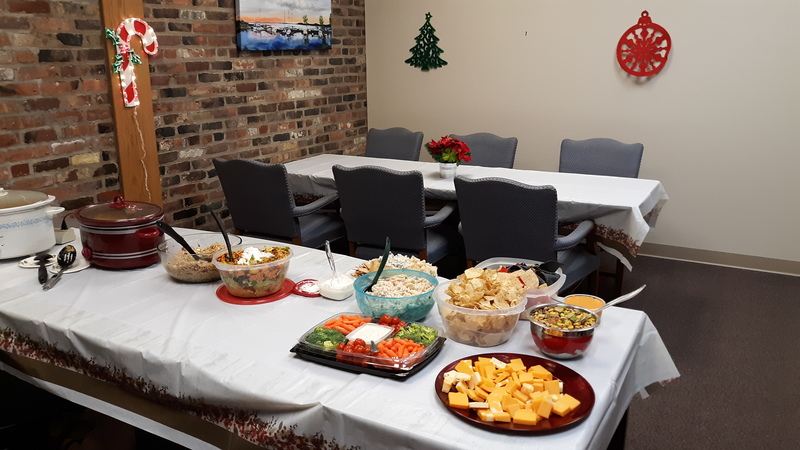 We had a potluck for some of our board members and held a White Elephant gift exchange. 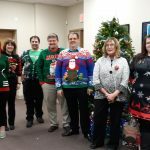 We all wore our best Christmas sweaters too. 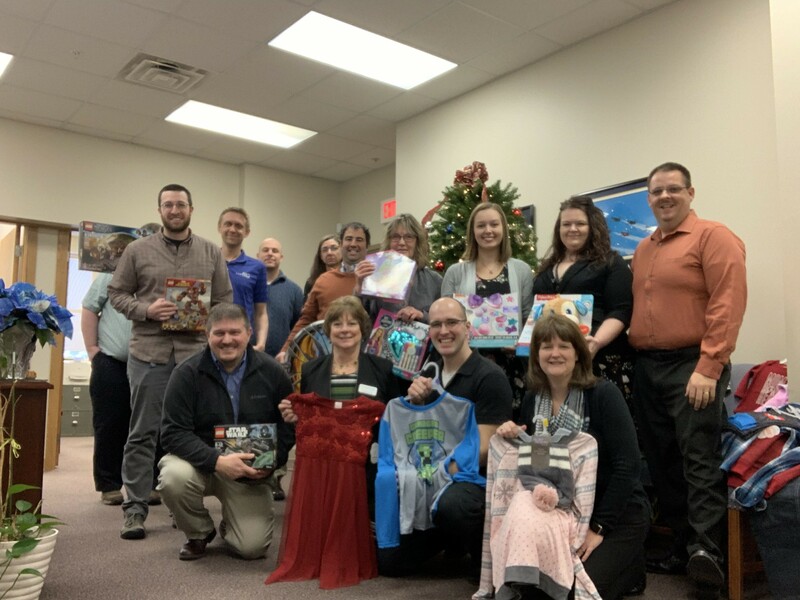 Andrew Gale and Kellie Johnson are sporting some of the toys that were donated by our Lasco employees this year and Michael Maki, Marine Corps Reserve Coordinator, is receiving the gifts. 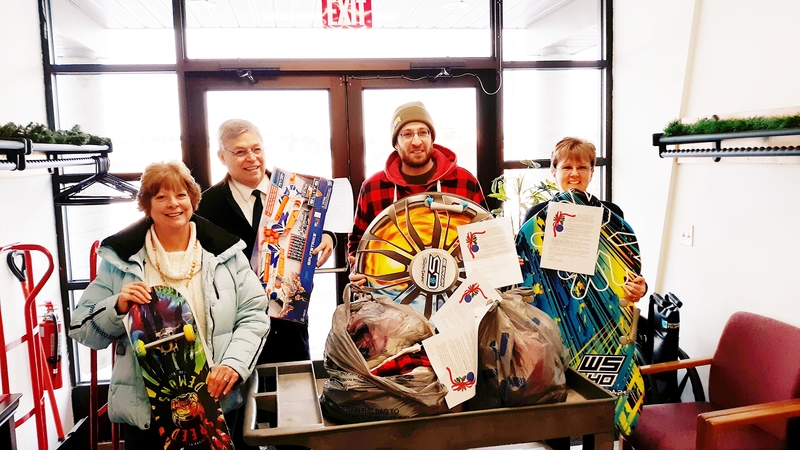 They will be distributed throughout Marquette County, and families will be able to shop for free on December 20th at St. Vincent and the Salvation Army. What a great program! This quarter, we decided to spend our Friday jean money (which is matched by Lasco) on the Salvation Army’s Adopt-a-Family program. We adopted a family of four, and here we are with our donations. Great work everyone!! 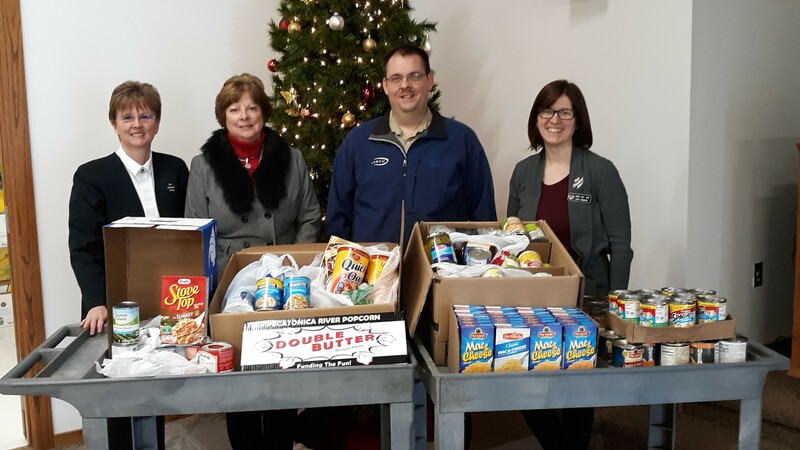 Lasco employees helped feed a hungry neighbor through the TV6 Canathon by collecting nearly 170 pounds of food! 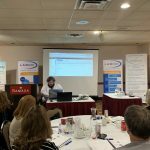 Lasco’s Cyber Event was held at the Ramada Inn on October 16th through the 18th this year. There were more than 25 attendees at each of the three days events. 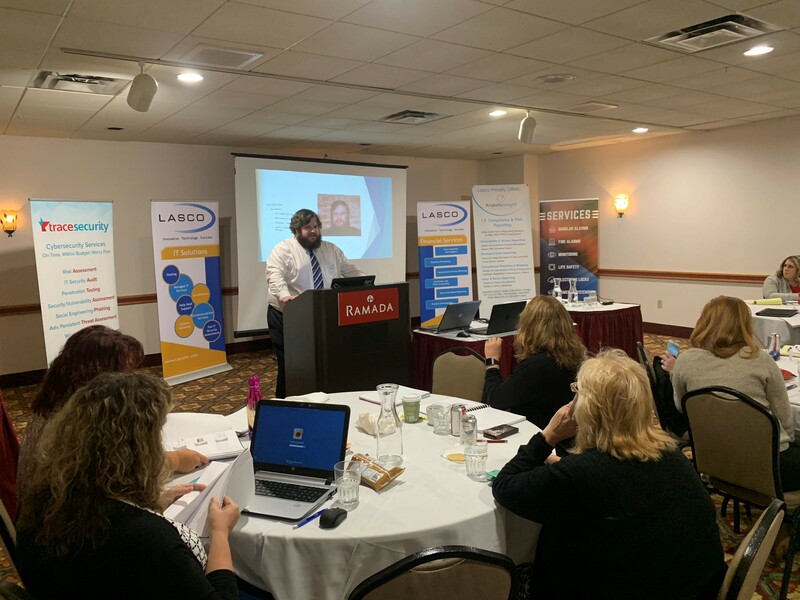 Lasco’s Tech Team presented and helped educate the attendees about the various types of cyber threats to watch for in their banking, professional, and personal worlds. With mobile and internet banking becoming more popular, we are here to support and educate our clients. We want to thank all who attended this years event and we look forward to hosting another similar event in 2019! 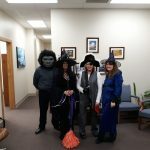 October 31st was a bit scary in the Lasco office! 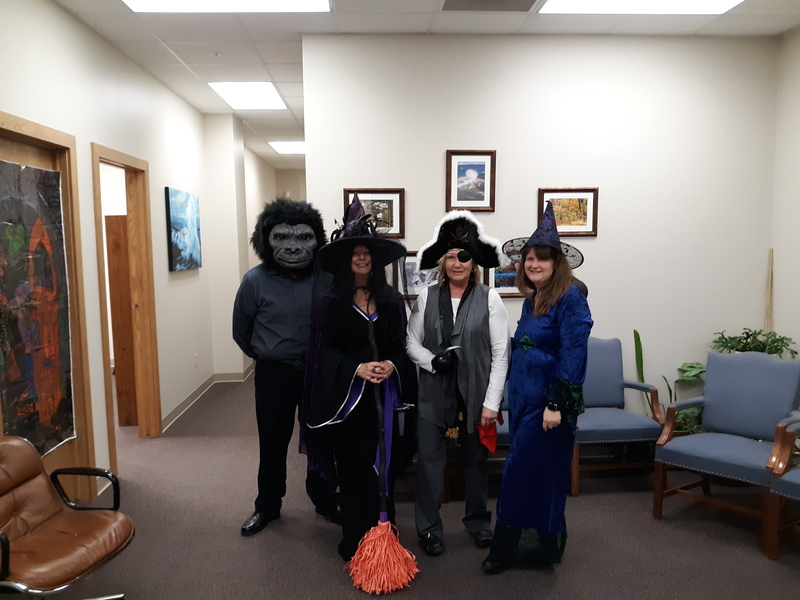 Employees dressed up for Halloween and enjoyed some good food for lunch. Lots of creative items were on the menu. 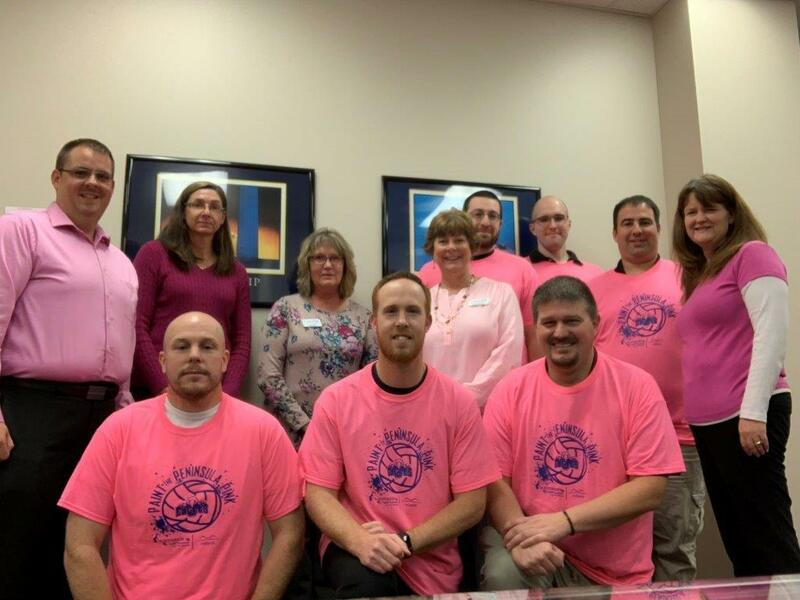 Lasco supports Superior Health Foundation’s Breast Cancer Fund. 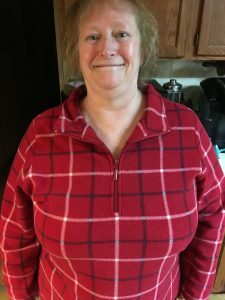 All funds help support both women and men who are being treated for breast cancer, for expenses related to medical treatments, transportation to appointments, wigs, financial support, or whatever the need may be. The SHF serves all 15 counties in the U.P. and have been “Painting the Peninsula Pink” for more than 5 years. There are 31 days in the month of October and they fill the calendar with businesses across the U.P. to support this fund. Lasco’s day was October 29th this year, and we are proud to help this very worthy and needed cause! 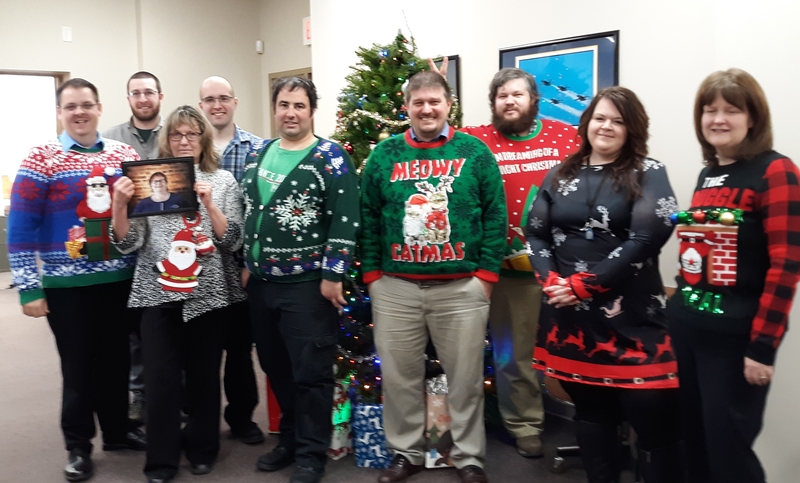 Lasco chose to donate our Friday “Jean Money”, which came out to $250, to the Portage Health Foundation: a charity that is aiding families that were affected by the floods in Houghton. Sponsors of this year’s event were Associated Bank, BOK Financial, Charter, Enterprise Systems Group, First Service Corporation, FIS, The Form House, Lasco, and TKS Security. 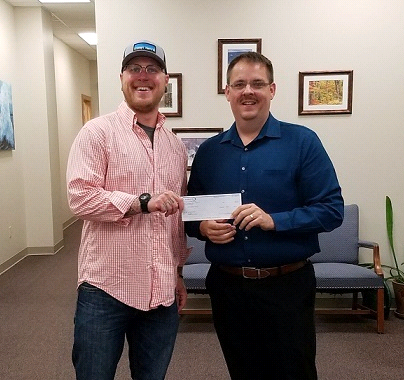 The event raised over $2,400 for the Salvation Army/Dickinson County Food Pantry. 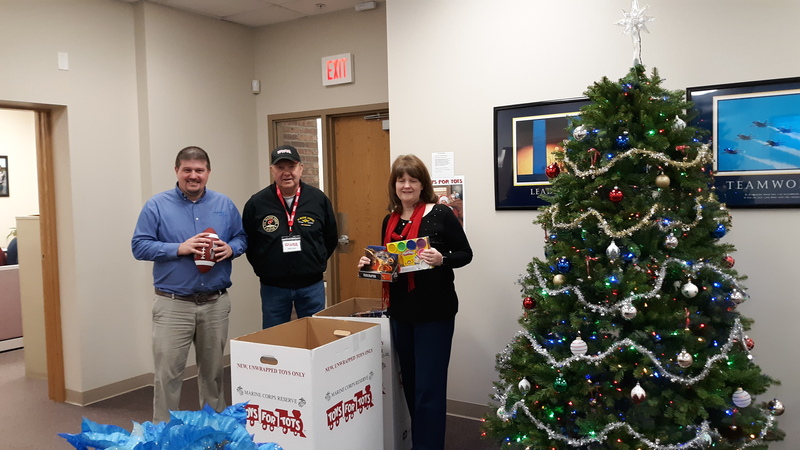 Pictured from left to right are: Dan Miller, Associated Bank; Mary Naz, First Service Corporation; Tara Blagec, Salvation Army and Josh Threm, First Service Corporation. Marquette, MI – Lasco is pleased to announce the promotion of Robert Baer from Interim President to President effective June 1, 2018. “I’m extremely excited to start the next stage of my long-standing career here at Lasco,” said Mr. Baer. “Lasco has always been a very strong company with a great staff and I couldn’t be happier to have been chosen to lead our great team to continued success well into the future”. Prior to being the Interim President, Mr. Baer held various positions at Lasco during his 22 year career with the company. 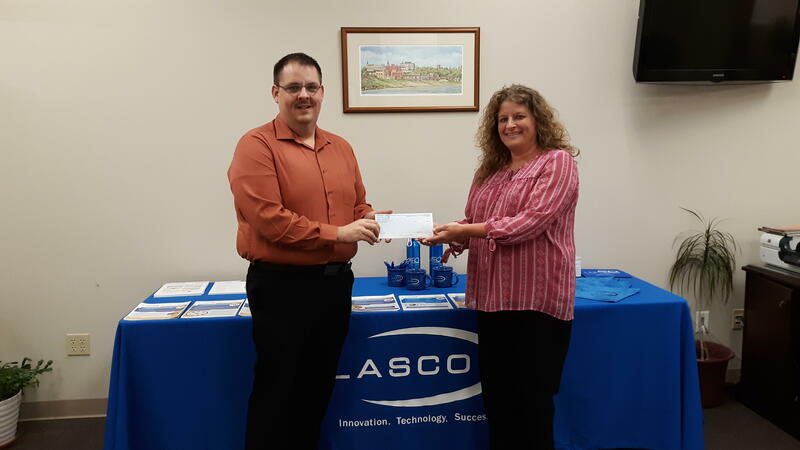 Mr. Baer started his career at Lasco while still in high school as a part time Computer Operator in 1996. Post high school graduation he continued to work in computer operations while attending Northern Michigan University when he moved to a full-time position that combined his computer operations duties with various I.T. positions. In 2003 he was selected to be Lasco’s Check 21 Image Processing Manager. 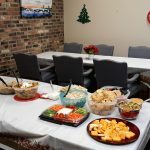 During this time, he managed Lasco’s Check processing center and was responsible for installing, configuring, training, and deploying Lasco’s new remote branch capture solution to 12 different financial clients over a two year span, while helping in various other bank conversion projects. In 2009, Mr. Baer was promoted to Vice President of Bank Services where he started to manage client relations, provided support in new product sales and implementations, assisted with contract renewals with both vendors and clients, and jointly managed all the bank services support staff. Mr. Baer was promoted to Senior Vice President of Client Management in 2014 which led to additional opportunities for him to work more closely with Lasco’s client senior and executive management teams and, deepen his involvement in contract renewals, budgeting, marketing and assisting with compliance. In October of 2017 Mr. Baer was appointed Interim President of Lasco. During the last several months, he has taken on the duties associated with the President position including managerial responsibilities of both the bank service team and I.T. 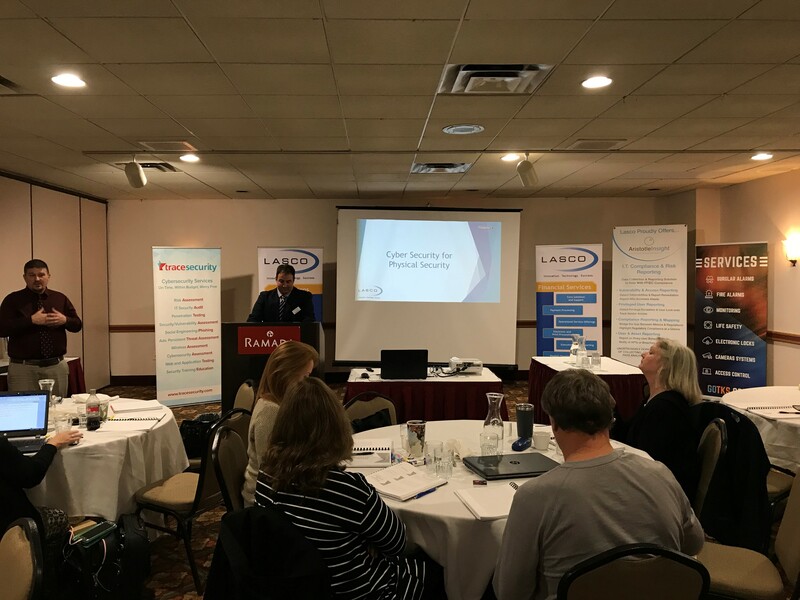 team, continuing to focus on building tighter client relationships, provide additional oversight for financial and human resources, and working closely with Lasco’s Board of Directors. “Robert has been doing exceptional work transitioning into the President position over the last several months. The Board of Directors has full faith and confidence in his continued efforts into the future.” States Lasco’s Chairman of the Board, Rick Nebel. The Lasco team is supporting Red Nose Day to help end child poverty. Lasco has a booth set up at the WBA Bank Executives Conference in Madison, WI. 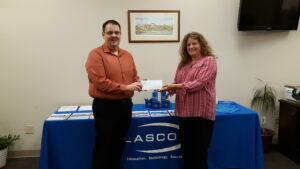 Lasco’s staff donates jean day money to the Children’s Museum with Lasco matching the donation! 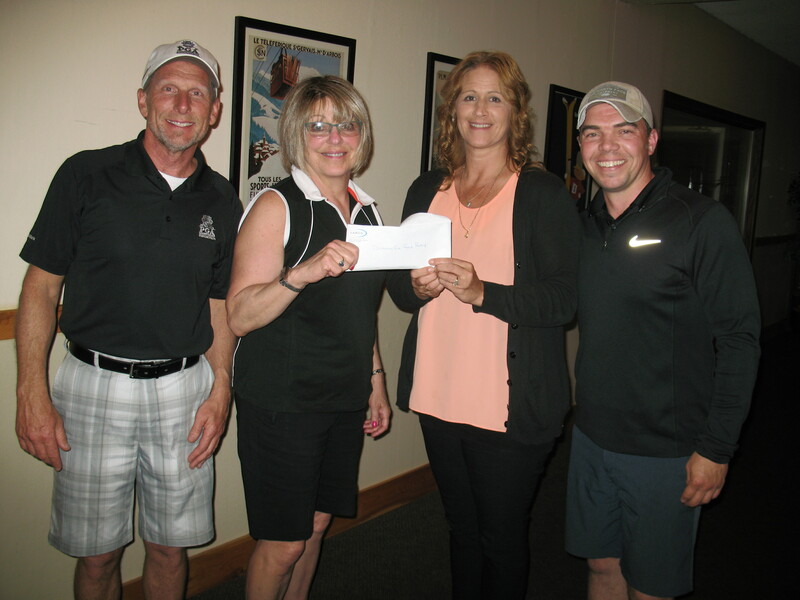 On June 8, 2017 Associated Bank, BOK Financial, Charter, Edge One, Enterprise Systems Group, FIS, First Service Corporation, Form House and Lasco hosted the Annual Charity Golf Outing in Manistique. 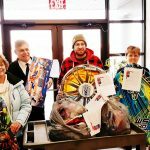 This year’s charity was the U.P. Honor Flight. Between all the donations, we were able to present U.P. Honor Flight with $2,600!! Lasco recently donated to Art on the Rocks. 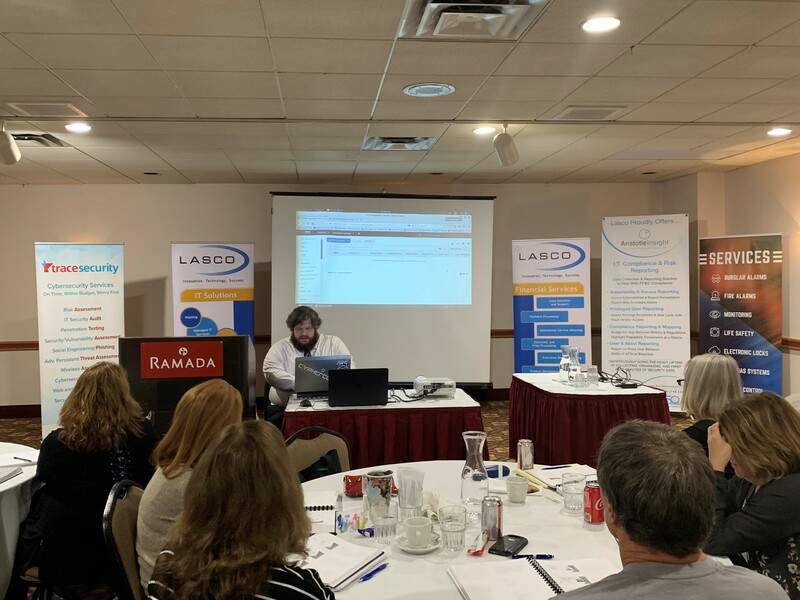 Lasco and FIS, a global provider of financial technology solutions, have partnered to host a Cyber Security Risk Assessment Workshop for financial institutions in Marquette, MI on May 23 -25. This 3 day workshop will provide industry updates, provide an informative view of your inherent risk relevant to cyber threats, and confirm your understanding of your cyber Security maturity. 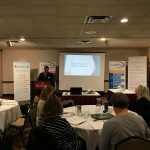 Attendees will learn to help implement or enhance their Cyber Security framework including policies, staff, processes, practices and technologies used to assess and mitigate your cyber risks and attacks. 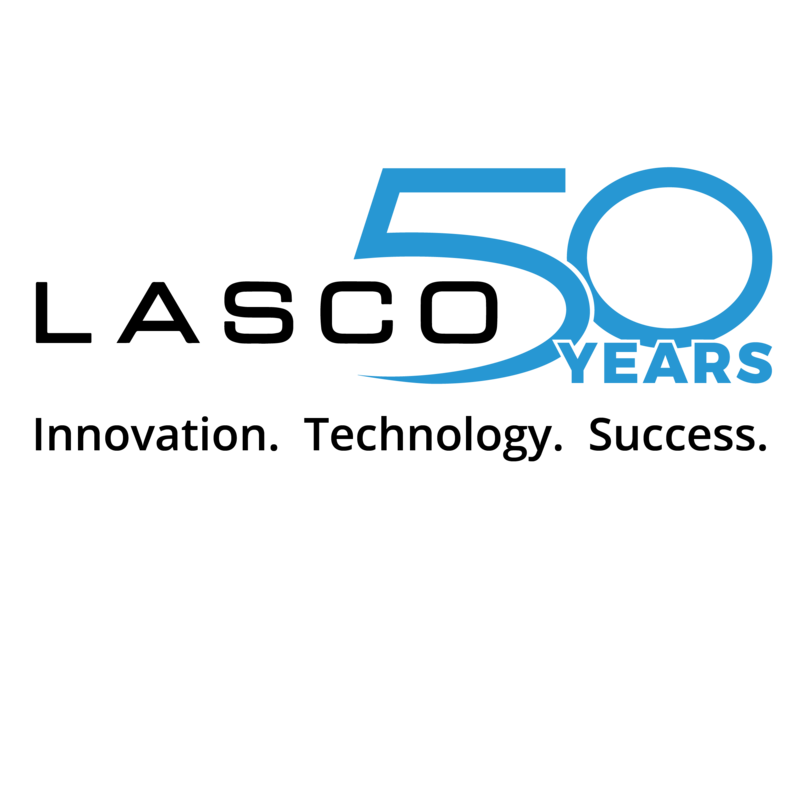 Lasco is celebrating 50 years of being in business and providing our clients with high quality products and services. 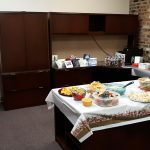 We will be hosting a Business After Hours in June with our staff, board members and clients. Keep watching for more details about this exciting event! 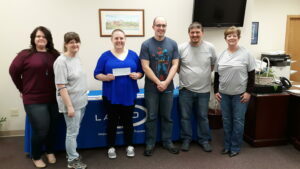 Lasco recently donated to the Big Brothers Big Sisters Bowl for Kids Sake. 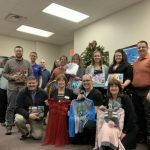 Lasco staff donates to United Way!! 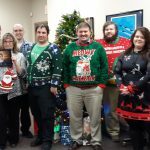 Lasco employees pay a $1.00 every Friday to wear jeans to work. Those dollars are matched by the company on a quarterly basis and donated to local charities. This quarter, Lasco chose the United Way campaign. Congratulations to Dennis VanLandschoot as he transitions into retirement as of January 1, 2017! As many of you now, Lasco’s longtime President/CEO has been phasing into retirement over the past 15 months. In 2017, Dennis will serve a part-time advisory role utilizing his decades of experience to contribute to the future growth of the company and will also retain his seat on the Board of Directors. 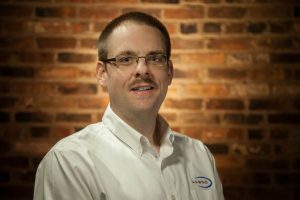 Over the years, Dennis has developed strong relationships with Lasco’s client base and staff members. His 43 years of dedication have greatly contributed to the success and longevity of the company, which is celebrating 50 years in business in 2017. “I’m so blessed to have gained many valued friends from the business relationships I’ve developed during my time with Lasco. I look forward to further contributions in my new role as advisor and Board member and thank all of my many clients and friends for their support and friendship over the years.”, said Dennis VanLandschoot. In his retirement, Dennis is looking forward to spending some well deserved leisure time enjoying his family and love of fishing. 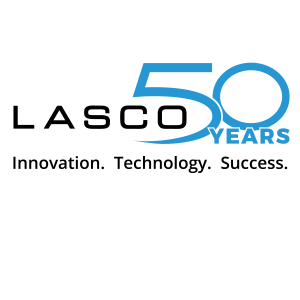 Lasco plans to celebrate its 50th anniversary with an event in June of 2017 and looks forward to the opportunity to celebrate the success and wonderful relationships that have been gained over 50 years with our clients, friends and staff. Please wish Dennis a Happy Retirement! Lasco is pleased to announce our new strategic partnership with Edge One, a recognized leader in ATM, ITM and TCR solutions for the financial services industry. To better serve the needs of Lasco’s financial institution client base, Lasco researched many vendors to partner with for ATM-related products and services. 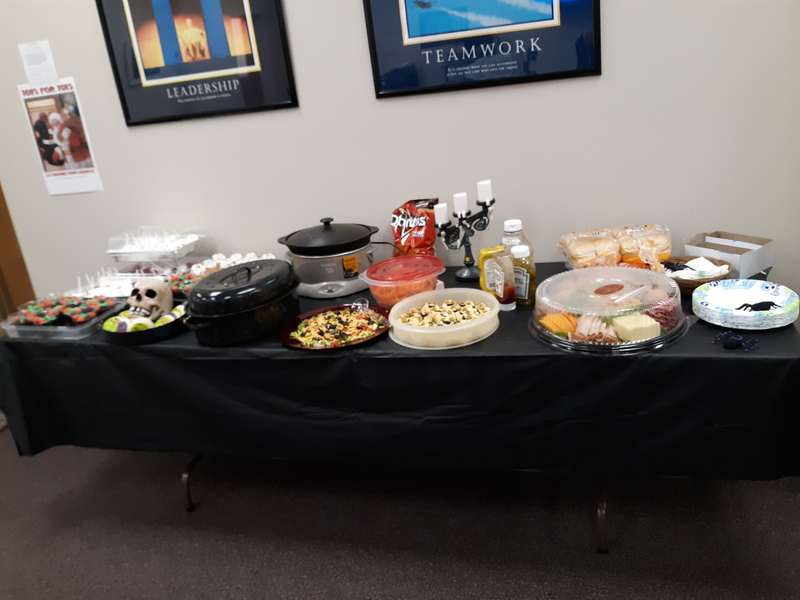 Edge One, headquartered in Stoughton WI, was a natural fit due to the close alignment of our two companies philosophies and detailed attention to serving customer needs. 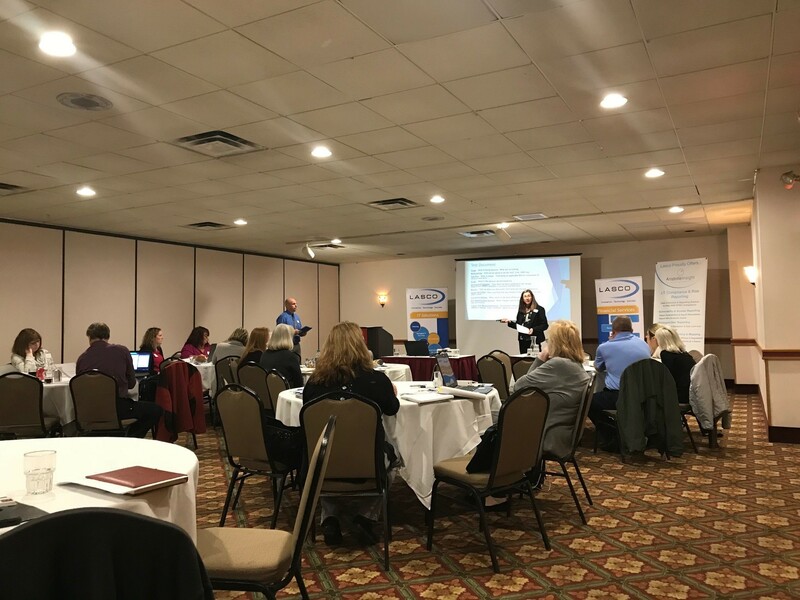 A kick-off event to share information about both companies and how we plan to work together was held for interested financial institutions on October 6 in Marquette. 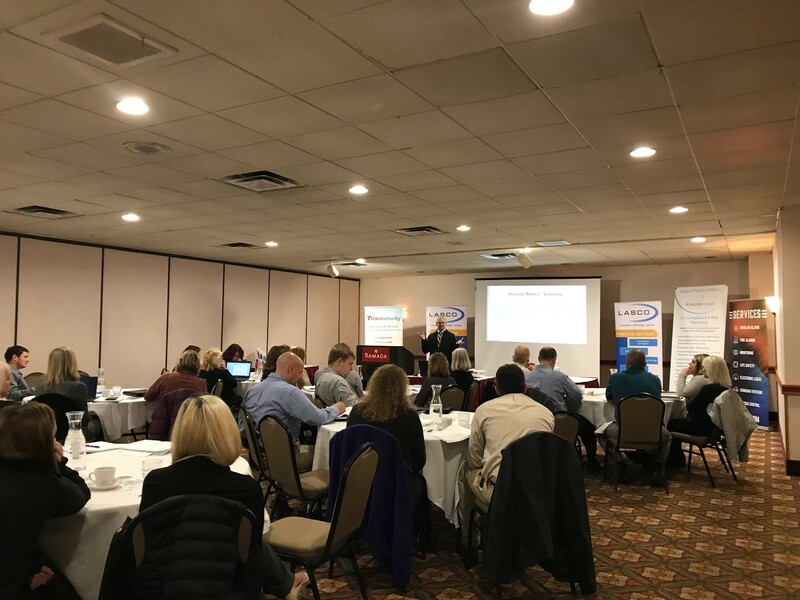 Financial institutions with locations in Michigan and Wisconsin gathered in Marquette to learn about our newest strategic partnership, hear presentations on ATM, ITM and TCR applications, participate in product demonstrations and gain insights into the future growth of technologies related to automated transactions. 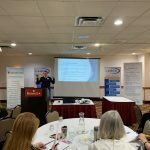 Jim Stanger, Edge One Vice President, shared details surrounding the many benefits of incorporating automated transaction technologies into a financial institution’s customer service strategy. Edge One’s commitment to serving customers in a timely and professional manner is evident by the strength of their service team, a commitment that Lasco recognized and highly values. Two Edge One equipment service technicians are located in the Marquette area to cover the central Upper Peninsula. Technicians are also strategically located in northern Wisconsin and northern Michigan to provide more efficient service to the far eastern and western areas of the U.P. Overall, Edge One has over three dozen service personnel throughout Michigan, Wisconsin, Minnesota and Illinois. 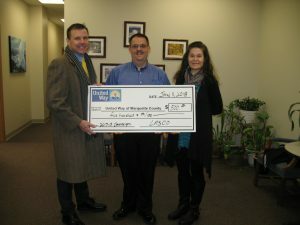 Lasco donates to Art on the Rocks which will be held in Marquette July 30th and 31st. Lasco employees Friday Jean Day donation goes to Lakestate Industries this quarter. 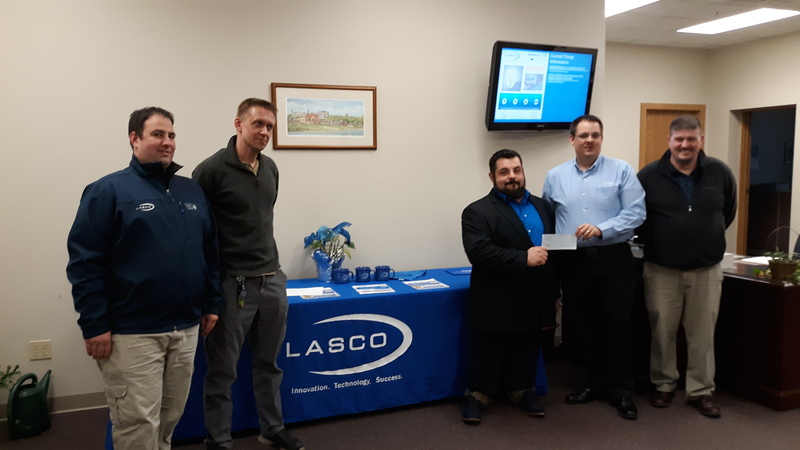 Lasco proudly co-sponsored the 8th Annual Charity Golf Outing in Sault Ste Marie at Tanglewood Marsh Golf Course on June 7th. 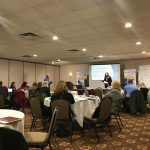 The event was jointly sponsored by vendor partners that provide services to community banks in the Upper Peninsula region. Associated Bank, BOSC, Inc., Charter, Enterprise Systems Group, FIS, First Service Corporation, The Form House and Lasco all collaborated to hold the event. The participants and sponsors enjoyed the opportunity to spend a day together on the golf course while raising funds for a local Sault Ste Marie charity organization, Road to Recovery. A total of 57 golfers played a scramble format at Tanglewood with several additional participants joining the group for dinner and networking after the day’s golf round concluded. Congratulations to all the winners from the day’s golf competition. The biggest winners of the day were the Road to Recovery program and the cancer patients the non-profit supports. Outing attendees made contributions totaling more than $3,000 dollars which were presented to Jazell Raycraft from Road to Recovery at the event’s dinner and awards program. 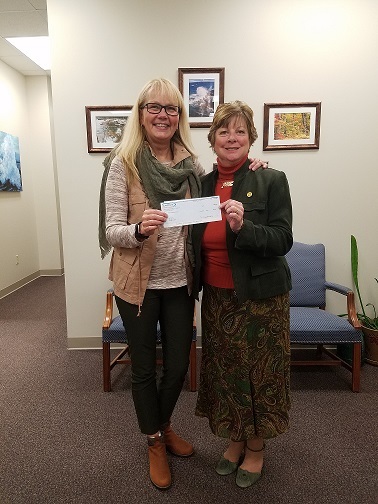 Road to Recovery provides free transportation for residents of the Eastern Upper Peninsula to Petoskey for needed cancer treatments. This is accomplished by the commitment of 40 volunteer drivers during a time when the cancer patients may not otherwise be able to travel on their own due to the cost or exhaustion caused by their treatments. The donations collected will be used towards the purchase of a van and the associated fuel and maintenance expenses. 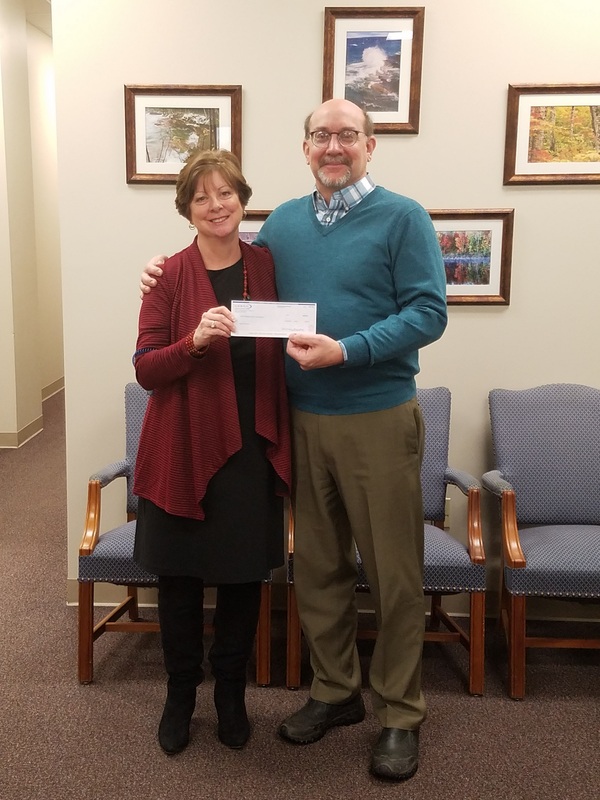 Special appreciation goes to Mark Savoie of Central Savings Bank for serving as this year’s local event coordinator, to Melissa Murphy of Lasco for handling registration and organizing the day’s activities, and finally to the staff of Tanglewood Marsh for hosting the golf outing. 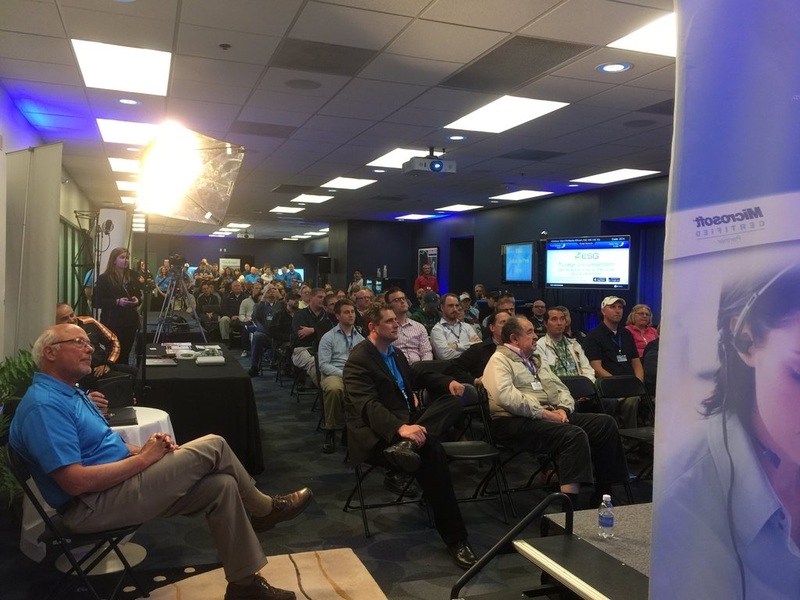 Andrew Gale, VP of Technical Services, attended the Enterprise Systems Group (ESG) Tech in the Park Event at Miller Park in Milwaukee on May 13, 2016. The event welcomes ESG’s partners and customers to learn more about new technology products and services during a series of presentations, vendor booths and networking opportunities. More then 150 attendees took part in the day-long session. 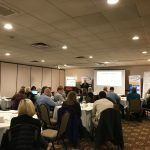 Topics highlighted at the event included telecommunications, video communications, wireless technologies, access control, surveillance and network performance analytics. The day culminated with an inspiring talk by USA Speed Skating Olympic Champion Bonnie Blair and a Milwaukee Brewers game. In May, Lasco hosted our second Roundtable with our core financial institution CEO’s. Discussions included a Lasco corporate update as well as discussions on strategic planning for leverages services and future products. During the week of February 15, 2016, Lasco is partnering with FIS to hold a Cyber Security Workshop for Lasco’s financial institution clients that utilize FIS for core services. The goal of the three day workshop is to assist clients with having a better understanding of cyber security and to assist them with completing their FFIEC Cyber Assessment Tool. Lasco recently signed contracts with two Michigan based financial institutions for Private Hosting solutions. The banks will be migrated over to Lasco’s Private Hosting platform in the first quarter of 2016. In December, Lasco hosted a dinner and Roundtable with its core financial institution CEOs for a strategic planning session on future products and services. Lasco will continue to hold these sessions throughout 2016. Lasco donates to United Way. Lasco recently renewed 3 contracts with Upper Peninsula banks for Core Processing Services and Technology Services. Lasco donated funds to assist the school with their power pack initiative. 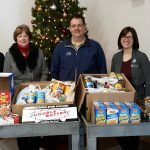 Lasco and its employees donate to Room At The Inn. Lasco employees donate a $1 every Friday for casual day. Lasco then matches those dollars and chooses a charity to donate to every quarter. This quarter, Lasco has chosen Room At The Inn. Lasco’s partner FIS, acquires Sunguard. 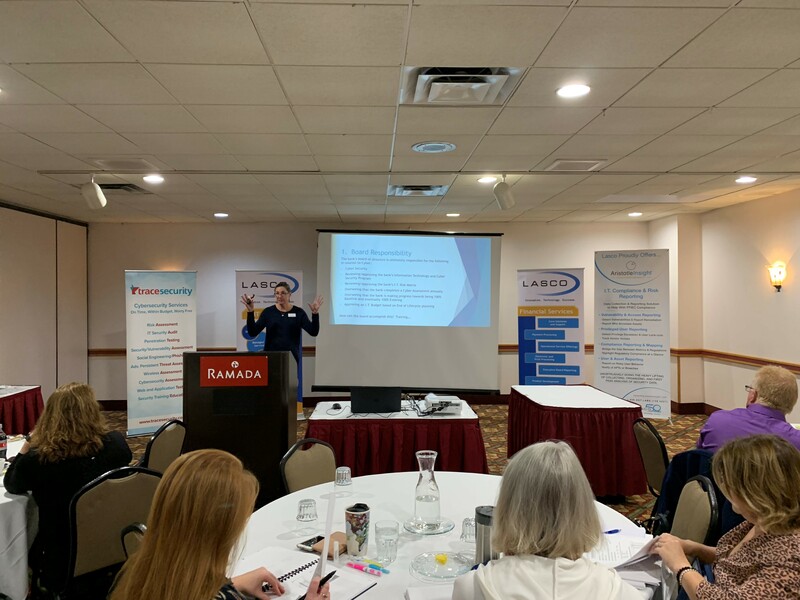 Lasco President/CEO, Dennis VanLandschoot attends the Michigan Bankers College in Traverse City during the Community Bankers of Michigan Conference. Lasco signs Wisconsin bank for Communication Services and Hosting Services. Lasco signs Wisconsin bank for Communication Services. Lasco signs two new banks for statement print processing services. Lasco donates to Art on the Rocks! August 5, 2015 – Lasco is a proud sponsor of the 2015 Art on the Rocks event held in Marquette County. July 1, 2015 – Lasco would like to announce its contract renewal with PrimaData for Statement Print and Mail Services. We continue to look forward to partnering with PrimaData into the future. June 8, 2015 – Lasco, along with several of our partners, held our annual charity golf event on June 8, 2015 at the Irish Oaks Golf Course. Over 60 golfers and over 70 for dinner were in attendance. 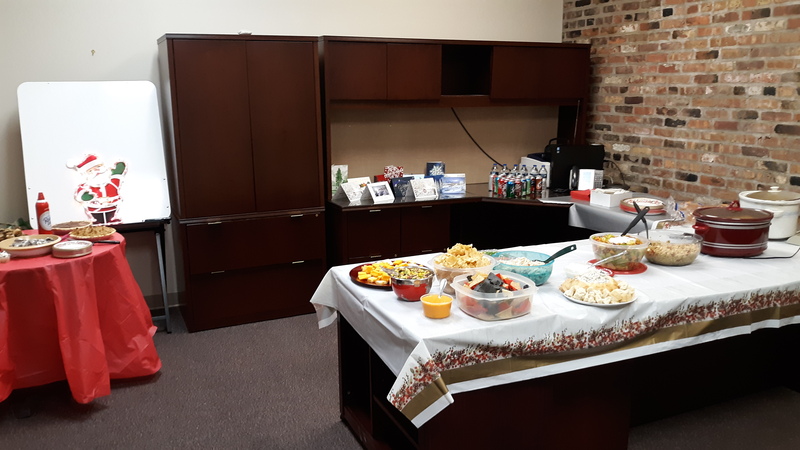 Getting to socialize with our clients as well as our partners was part of the fun, but we also got to raise over $2,500 for the Delta County Animal Shelter. First Bank, State Savings Bank and Central Savings Bank are now additional owners of Lasco. April 1, 2015 – Lasco has additional new owners. As of April 1, 2015, First Bank, State Savings Bank of Manistique and Central Savings Bank are all now part owners of Lasco. Lasco is looking forward to working more closely with its new board of directors in the future. 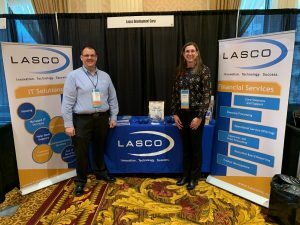 Marquette, MI – Lasco Development Corporation’s current owners, Dennis VanLandschoot, President/CEO and Kris Sweeney, Senior Vice President, have been working diligently over the past two years to find the appropriate replacement owners for Lasco as they near their retirements. Lasco is pleased to announce that Peoples State Bank of Munising has purchased Lasco. During the transition period and into the future, business will continue as normal with Lasco’s mission and goal of providing value to its client base in an open and honest manner. Long term, Lasco will be looking to expand its client base as well as its financial product offerings. Mr. VanLandschoot and Ms. Sweeney will continue in their current roles……. 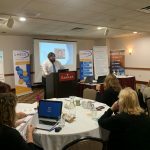 Charter Business to Provide a Wide Area Network for Lasco Throughout the U.P. At Lasco, we understand your business is unique, so we don’t approach your business with a one size fits all solution. We are your partner and will work with your custom needs from an initial analysis to implementing the right solutions, and providing the long term support you need. Technology should increase efficiency, not burden your operations. Contact us today to find out how we can help.